Whether it contains glucose, corn syrup, sucrose, or dextrose (all ingredients in various types of sports drinks -- even the low calories ones), it's still a form of sugar! Most people believe these drinks are good for you since they are so popular among the athletes. But this is far from the truth! You see, what these drink actually do is give you temporary energy in the form of glucose, aka simple sugar, so it seems like it's giving you energy, when all it's actually doing is raising your insulin real high just to make it crash later once the "sugar high" has run its course. So yes, while it does give you some energy for a short time, it puts a lot of extra strain on the body which in turn actually limits the amount of electrolytes (you know, the whole reason you wanted the drink in the first place) your body is able to absorb and use. Kind of a waste, in my opinion. Blood sugar swings cause a lot of stress and inhibits the body's ability to work efficiently and effectively (there's just SO much to say about blood sugar imbalances -- I just don't have the space here. I'll be sure to write another post all about it!). And stress has a habit of rolling over into every area of our lives: not just physically, but mentally and emotionally as well. If you feel depleted after your workout, now is the time to change that! 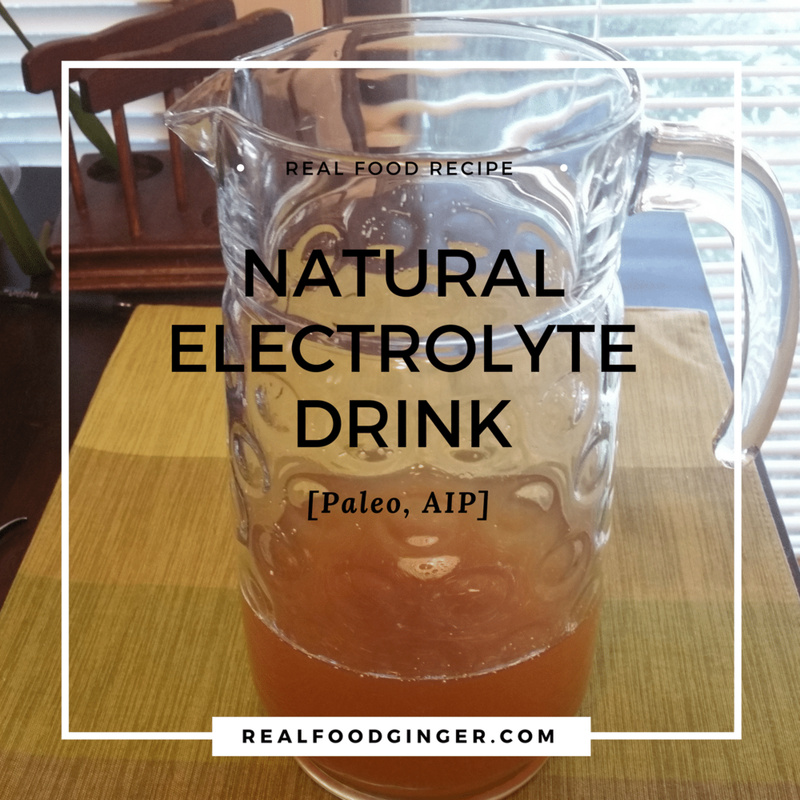 So the next time you're in a position where you may need some extra electrolytes to get you through (or to help you after) your workout, take just a few minutes to make your own healthy electrolyte drink -- your body will thank you for it! Mix all ingredients together and enjoy! Best when used during a workout time that is either longer than 45 minutes, high intense, or in a hot climate. If this is your type of workout... drink up! ** Side Note: Thrive Market is always giving away an awesome deal along with a free 30-day membership with all orders! Check out Thrive Market and see their latest deal HERE. (And yes, all of the above are affiliate links. This means if you were to purchase anything by using a link on my website I would receive a small commission. This does not, however, affect the price. I only use links to products I know, like, and trust and think you will as well (:)**. Challenge: Try this natural electrolyte drink during your next intense workout! Do you accept? ?